Limited stock - old design of bottle. 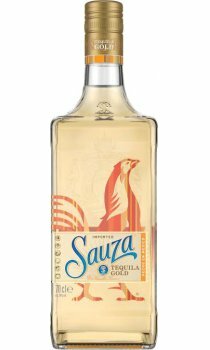 This extra-premium gold tequila is distilled from blue agave, than blended for bold taste, smooth character and natural golden colour. The smooth style of Extra Gold is renowned for straight shots and hand-shaken or blended margaritas.